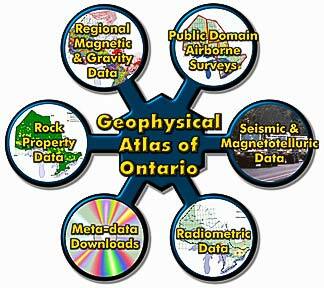 Geology Ontario provides unprecedented access to the information holdings of the Ontario Geological Survey. Rich spatial and attribute search functionality facilitates the rapid discovery of information in over 85,000 reports representing over 2,000,000 pages and 168,000 maps from OGS publications and client submitted mining assessment files. In addition, hundreds of digital products containing field data, geophysical surveys, geochemical analyses and geochronological measurements are available for download. Designed and built on the same technologies as the internationally recognized Crown Land Automated Internet Map System (CLAIMaps), citizens can generate multi-thematic maps at select scales and link in map services from other jurisdictions and organizations. Rapid dissemination of geoscientific research and historic information promotes sustainable development initiatives and the responsible use of the Province's wealth of natural resources. To find out more about Ontario's rich geological resources, and to search this extensive geological repository, please visit www.mndm.gov.on.ca/en.